Things are starting to power up at the 42.5 megawatt (MW) Collinsville Solar Photovoltaic (PV) Project. 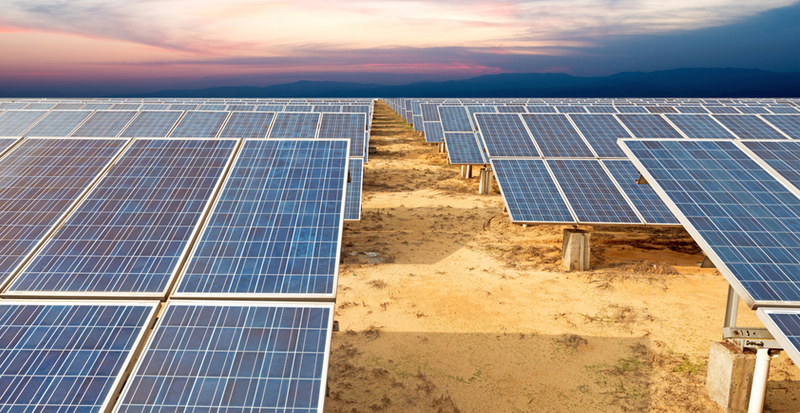 Ahead of the $100 million project achieving full commercial operation in September, the first batch of solar panels have been switched on as part of a staged testing and commissioning process being conducted by project developers Ratch Australia Corporation. Ratch EGM Business Development, Mr Anthony Yeates, said the testing announced the “electrification” of the Collinsville project which is located next to the decommissioned Collinsville coal-fired power station. It follows the installation of 164,000 PV solar panels and more than 550km of cabling, the completion of the site’s control room and meteorological station, and the refurbishment of the site’s substation which is now energised and will connect the project’s power to the national electricity grid. A fleet of excavators, bulldozers, graders, cranes, trucks and trenchers have taken just over a year to transform the 80-hectare site. Mr Yeates said most of the work shirts and heavy machines on site sport the names of local businesses including Beauchamp Excavating from Collinsville, Hillery Group, S&W Crane Hire, and Australian Indigenous Security Services from Bowen, and Pyro Dynamics from Proserpine. “All eight major contracts listed on the Industry Capability Network were awarded to suppliers in the North Queensland region which is well known for the depth of industrial capabilities and skills,” he said. “The project’s success has a lot to do with all the hard work invested by local contractors and suppliers, many of whom have been with us from the start,” he said. Hillery Group General Manager Mr Luke Hillery said he was pleased to have been involved in the project. “To see it all come together has given our team a great sense of achievement,” he said. The solar farm will deliver in the order of 130,000 MW hours of renewable energy, which is predicted to meet the annual needs of approximately 15,000 Whitsunday homes over a 20-year period. Previous Post Would more coal-fired power stations would be a mistake?